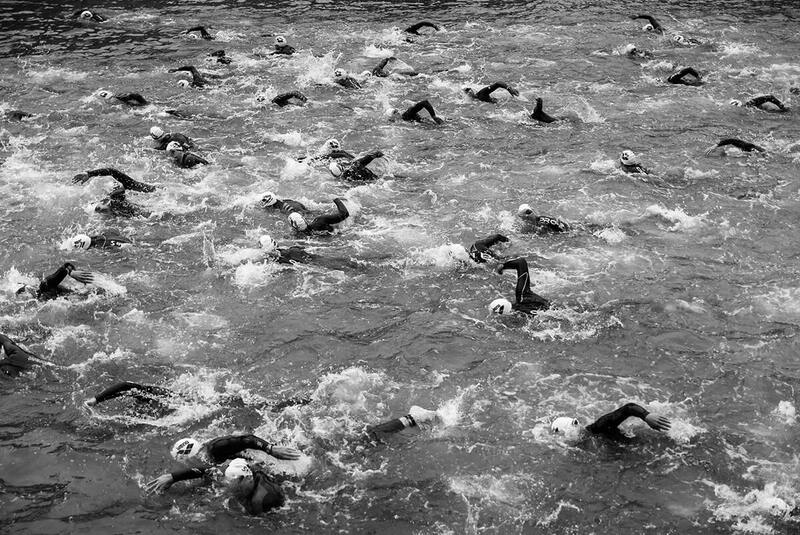 What happens to your body during a triathlon? Well, of course, it depends on the length of the triathlon, doesn’t it? Some sprint distance triathlons (400m swim, 20km bike and a 5km run) can take the fast boys just over an hour or so. Whereas the more extreme triathlons (an Ironman for instance; 3.86km swim, 180km bike and a casual marathon to top it off) can take even the best athletes in the world 8 hours to complete, and the more amateur athletes amongst us perhaps even 15 hours. Now, we’re in no way knocking the sprint triathletes out there, hats off to you for sure. But since just the idea alone of 8-15 hours of continuous exercise is enough to send shivers down most people’s spine (yes most, there are some nutcases out there who’s ears would prick up at the thought of that), it might be more interesting to dissect what our bodies go through during this kind of exercise. To kick things off, adrenaline is released in mere anticipation of exercise, so even before the race has started, our body begins to adapt. Epinephrine (adrenaline) helps to increase blood flow to the soon-to-be-working muscles. The swim; let’s jump right in…the cool water eases thermoregulation (a fancy word for the body regulating its own temperature), but the effort taken to swim nearly 4km soon leads to anaerobic glycolysis (otherwise known as when your limbs start to burn!). However, carbohydrate stores and pre-released adrenaline help to get you through the end of the swim. 3.86km might not sound far in comparison to the rest of the race, but a fact that all you swimmers out there will appreciate; swimming requires four-times as much energy than running to cover the same distance. And we’re only just beginning…! Moving from swim to bike is where the body temperature begins to rise, and it won’t be lowering any time soon…thank heavens for sweat. Sweat is the vital cooling mechanism for the body, and thankfully prohibits us from overheating. However, losing so much fluid, along with all the electrolytes it contains, will not just hinder performance, but will drastically halt all activity if not replaced quickly. This is because dehydration reduces blood volume, which in turn minimises the availability of oxygen getting to our heart. 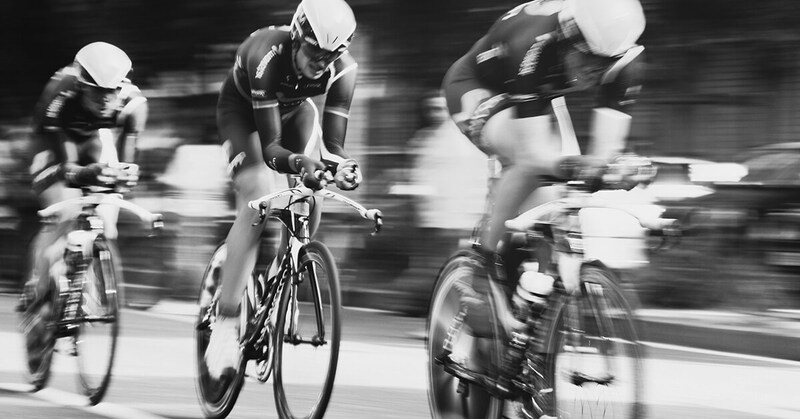 Ironman athletes can lose up to one litre of fluid per hour on the bike/run – that’s nearly 10kg of fluid throughout a race! Needless to say, water station stops are a necessity. Onto the final third now, just that marathon to get out the way and then we’re done… The phrase ‘running on empty’ begins to come into play as glycogen stores lower. Rigorous training is a pre-requisite to Ironman’s because it can greatly increase the body’s capacity for glycogen storage (essentially glycogen supplies energy to your muscles – if these stores fall too low, your race is most likely over). Training can also increase the body’s capacity to burn fats, which allows the athlete to conserve glycogen and therefore, push on with the torturous exercise for longer. Oh, the joy. Of course, as many marathon runners and triathletes will know, there is the dreaded ‘wall’ to pass before the finish line. Your muscles are drained, your mind is drained, your body begins to grind to a halt. If you can overcome this last hurdle then it’s just a gentle jog/stagger/crawl to the line. What happens to your body during a triathlon is a great question. Now that’s a whirlwind summary of what happens to our bodies during an Ironman, but what happens to our minds is a completely different matter that could, and should be answered only by the nutters amongst us that have actually completed such an event! It can take a good while for the body to recover from such extreme stress, so if you do indeed have an Ironman-type triathlon in sight, maybe keep your diary empty for the following week or two.